Business cards are hard to manage. Even for the companies that print and sell business card boxes, it is not easy to save the cards from being folded, getting wet or curled up. Storing and delivering big stacks of these business cards is not an easy affair. 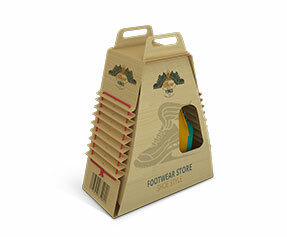 Think of stacking them unless the customer comes and collect their business cards or you deliver cards to their place. This situation demands custom business card boxes and this is where PackagingBlue.Com comes in handy. 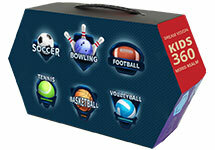 We offer spectacular business card box design and production services. 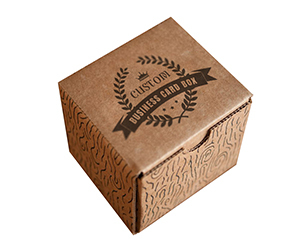 Why Get Custom Business Card Boxes? 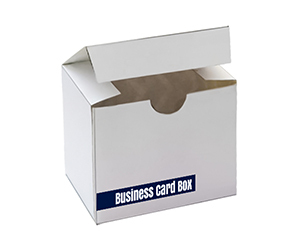 Custom business card boxes are what you need if you run a business card design and production business or if your business depends on managing or delivering the stacks of printed business cards. 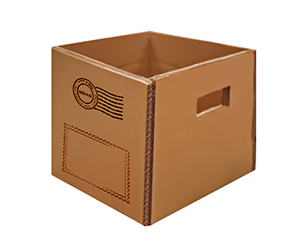 These boxes are made to preserve and protect the cards from different types of threats such as moist, dirt, oiliness and being twisted or folded. The corrugated layers of the custom business card boxes keep the cards dry and away from moist. 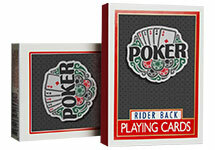 These corrugated layers keep the cards safe from impact and the finish of the cards remains intact. 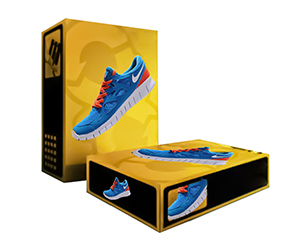 Also, the custom boxes have certain details and graphics to mention the company that printed them and/ or the business or company that the cards are related to. This helps business card printing companies manage the card stacks and deliver them to the owner without any confusion or delay. 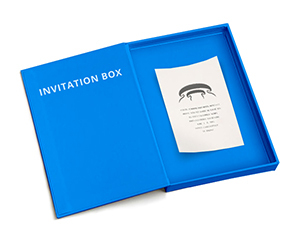 What is in a Personalized Business Card Box? 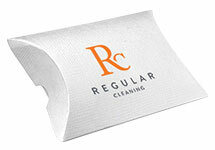 The personalized business card boxes are 100% customized from their top to bottom. 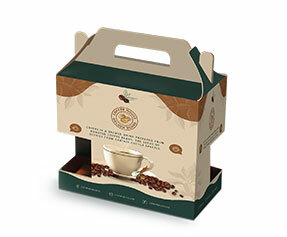 These boxes bear the concerned person or company’s name, logo, tagline and other important details because the concerned personnel keeps these boxes on their tables in order to display and manage the cards in a stylish way. These boxes keep the cards intact and the owners do not have to deal with unorganized, spread all over the table and cluttered stacks of their business/job cards. The customizations that we are talking about are pertaining to the material, color, design, shape, structure and finish etc. 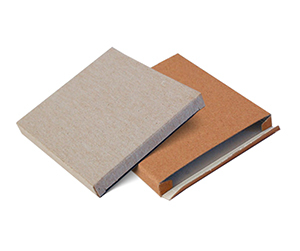 Let us first talk about the material; most of the personalized business card boxes are made of Kraft or corrugated cardboard, but we also provide on-demand business car boxes made of Bux Board and Cardstock. As far as the color options are concerned, we offer two most famous color models to choose from CMYK and Pantone. These two models are based on the basic colors used in everyday printing.Design and graphics option include raised ink, debossing and embossing etc. When it comes to shape and structure we offer various options such as die cut window pane, straight tuck, reverse tuck, auto bottom, spot/full UV, perforation, scoring and many other options. 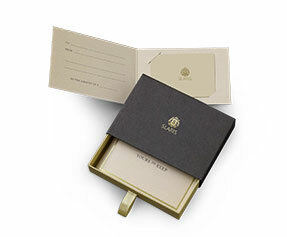 Last, but not the least, the finish of our highly personalized business card boxes includes gold/silver foil, PVC sheet, gloss or matte finish and many other options. 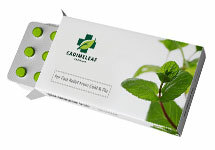 Why Get Customized Business Card Boxes from PackagingBlue.Com? 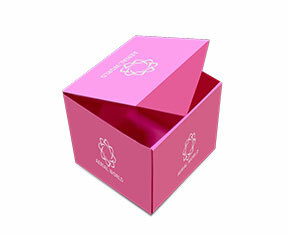 PackagingBlue.Com is aware of the intricate details of the customized business card box packaging. 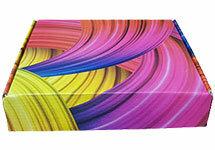 We have provided business card boxes to a lot of businesses and our experience makes us the best pick. However, apart from our expertise in printing business card boxes, there are some other factors too which prove that we are the best company for custom business card boxes. Firstly, we have a dedicated customer support team to offer you pre-sale and post-sale assistance. 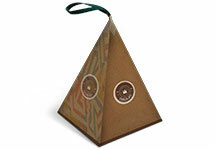 This team listens to your concerns and gets to know the kind of custom boxes that you want for your business. They also keep in touch with you once the deal is closed and once you get your boxes; their sole job is to see your 100% satisfaction. Secondly, we have a sales team. Once you are done with queries and concerns, you are put through to the sales team. This team stays in touch with our printing team and makes sure that our packaging engineers provide the exact type of packaging that you need. 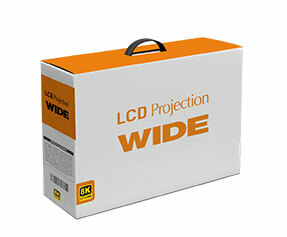 Thirdly, we have an entire team consisted of packaging experts and engineers. Their sole job is to get 100% accurate order details from the sales team and make sure to manufacture and print the exact type of boxes that you need. This team is under quality assurance personnel who check each and every box before delivering them. 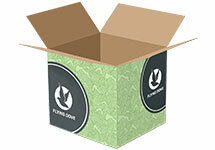 PackagingBlue.Com takes pride in offering custom boxes with 100% eco-friendly material. 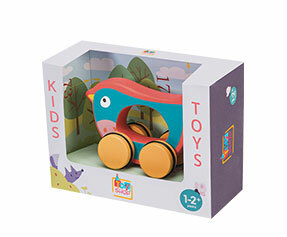 Our material is free of any harm to kids or cruelty to animals. Still got some questions in mind? No problem, if you want to learn more about our custom business card packaging, please contact our 24/7 customer support team right now. 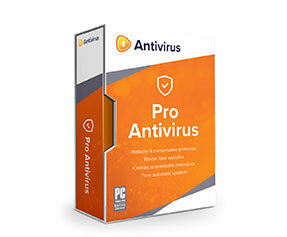 In addition to above information, if you are a business owner having connections in an extensive network of people, you probably experience an endless stream of cards that creep in your wallet, and soon pile up in your drawers and cupboards at your home and office. You need some sort of confinement to address this issue. 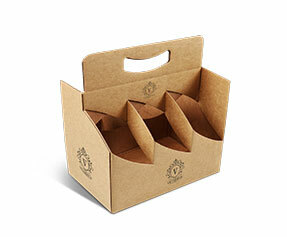 This product from PackagingBlue.com is mainly designed and created to hold your cards so that you can sort them out more effectively and efficiently. The overwhelming number of business cards is the worst nightmare of some people as they go about their daily professional life. We have made this solution that is geared towards arranging and managing business cards.